Boulter Consulting specialises in Urban and Transport Planning. 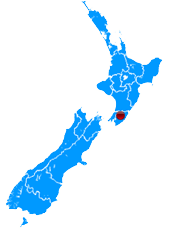 It is based in the Wairarapa District in the southern half of the North Island of New Zealand. Own consultancy firm in urban and transport planning, with emphasis on urban form, local communities, policy integration and alternative transport modes. Full information on this website, including description of the main work areas and a full list of projects. Work areas have included urban growth/ urban form, District Plans, community development, integrated transport, walking, cycling, passenger rail, central government policy integration, conference planning and academic lecturing. Responsibilities included Hamilton's Integrated Transport Strategy, arterial road planning, cross-modal policy analysis and review, national and local policy submissions, public transport and regional strategy liaison, Resource Management Act requirements for designations, walking and cycling strategies preparation and implementation, District Plan input, Annual Plan input and submissions response advice, project evaluation, report preparation. Externally represented New Zealand on Australian Bicycle Council (through Transit NZ), represented city and district councils on Transfund Walking and Cycling Advisory Groups. Reporting on District Plan submissions, attendance at Hearings Committee, participation in deliberations. Alandale Associates, Tauranga: Associate (1995). Tender (shortlisted) for Western Samoan NZ Government development project, and local resource consent application drafting. Birmingham City Council, UK: Cycling Officer (1990-1995). Cycling policy formulation, review and implementation, input to statutory planning documents, planning and management of scheme implementation programme, stakeholder liaison, public and press/media relations, councillor liaison. Birmingham City Council, UK: Local Planner (1988-1990). Preparation of City's statutory Unitary Development Plan, with additional specific advisory role on ethnic minority issues. Training in basic Urdu/Hindi language and South Asian culture. Birmingham City Council, UK: Area Studies Planner (1982-1988). Development of local Area Studies, embracing full range of physical, social, economic and cultural issues, dialogue with public stakeholder organisations and local community groups, continuous rolling review programme. Birmingham City Council, UK: Development Control Planner (1979-1982). Processing planning applications, preparations of cases on appeal, attendance at appeal site meetings and Public Local Inquiries, authorship of policy and public leaflet on provision for people with disabilities. Birmingham City Council, UK: Design/Conservation and Advertisement Control Planner (1977-1979). Survey and designation proposals for new statutory Conservation Areas, formulation of enhancement proposals for existing Conservation Areas, authorship of interpretive public leaflets, assessment/ reporting and recommendations on advertisement consent applications. Birmingham City Council, UK: Trainee Planner (1975-1976). Development control, heritage/ conservation, city-wide policy analysis, as part of degree course internship. New Zealand Planning Institute , full member (MNZPI), 1997-2011; Waikato branch committee, 1997-2000 and 2004-06. NZ Urban Design Protocol , 2005(foundation signatory)-ongoing. NZ Urban Design Forum , 2004-2009. Institution of Professional Engineers New Zealand Transportation Group , member, 1998-ongoing; Waikato/ Bay of Plenty Branch Committee, 2001-2006. 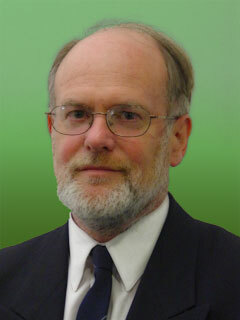 NZ Cycling Conferences , organising committee member, 1997, 2000, 2001, 2003, 2005, 2007. NZ Living Streets Walking Conference , organising committee member, 2006, 2008. Town and Country Planning Association (UK), member, 1993-1999. Nancy Northcroft Planning Award (New Zealand Planning Institute) 2005 for NZ Cycle Network and Route Planning Guide, (co-author). Cycling Advocates' Network cycle-friendly award 2004 for best public authority document for NZ Cycle Network and Route Planning Guide (co-author). IPENZ Transportation Group Annual Study Award, for proposal for New Zealand Cycling Strategy Foundation Project 1999. School governing body (board of trustees) member (UK), 1992-1995.